In our increasingly digitalised world, we’re constantly looking to technology to revolutionise the way we build relationships. From social networks such as Facebook and Snapchat to dating apps such as Match.com and the ubiquitous Tinder, there is a wealth of sites that facilitate online connections. On a professional level, LinkedIn has held the monopoly on networking for some years. Although the platform does provide opportunities for making new contacts, it doesn’t really fulfil the modern desire for a gamified experience. Sensing that this was an area ripe for disruption, a number of companies have used their sociological and technical know-how to produce alternatives. The app was launched in its current format in October 2016 and has 1.5 million users across three markets: the US, the UK and France. It uses the swiping format employed by many dating apps, and connections are suggested based on the user’s interests and location. Shapr users are limited to between 10 and 15 matches per day, which Huraux says helps users to form more meaningful relationships and discourages mindless swiping. The app encourages users to meet in person, thereby positioning itself as a facilitator of real-life connections as opposed to being the sole platform on which a relationship is conducted. Shapr was designed solely for a market of professional networkers, but other dating apps are jumping on the bandwagon and introducing networking elements to capitalise on the growing market. One such example is Bumble, a dating app originally launched in 2011 by Whitney Wolfe Herd, who previously co-founded Tinder. Bumble’s USP is that women must make the first move; men cannot message a woman who has not messaged them first. 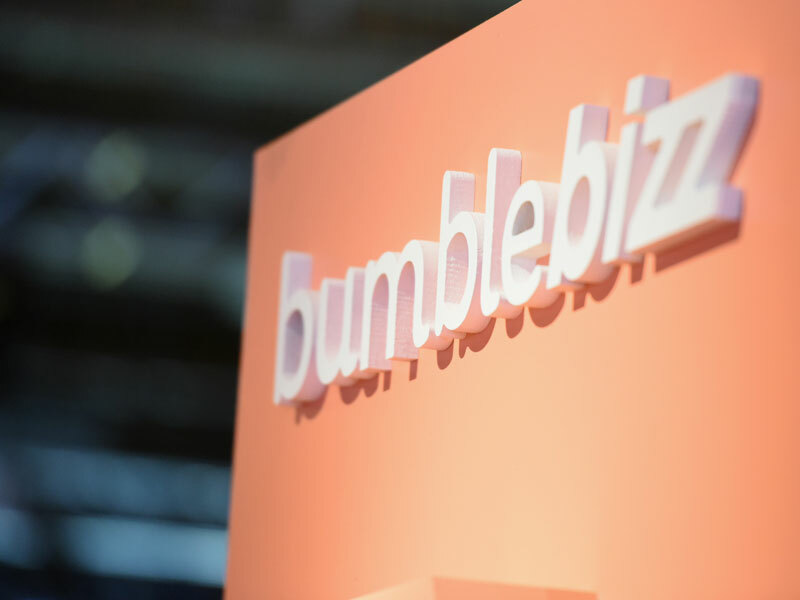 In October 2017, Bumble introduced a ‘Bizz’ feature to its US, Canadian, UK, French and German markets, designed to facilitate professional rather than romantic connections between users. The feature follows the same principles as the dating side of the app, which the company says allows women to network with contacts that might be otherwise difficult to interact with and attempts to prevent the harassment that women can experience on sites such as LinkedIn. Bizz profiles feature a skills section and a portfolio that allows potential employers to see a user’s work before matching with them. It’s proving to be a successful model for the firm. According to figures released in August this year, since the launch of Bumble Bizz, the app sees 17 million new matches per week and 64,000 users joining each day. Bumble itself has hired 11 internal team members through the Bizz function. Apps such as Shapr and Bumble Bizz allow users to make the right connections at the right time; at crucial professional moments, having the appropriate contacts to turn to can make all the difference. These apps also allow users to explore opportunities that don’t fit into the traditional working week – perhaps for freelance work, consulting or speaking engagements. Roles such as these are rarely advertised on job sites and are typically transmitted via word of mouth. Networking is especially important for those who don’t work in people-facing roles. Apps provide a viable alternative, helping to build a community of those genuinely interested in fostering meaningful business connections in the digital era.